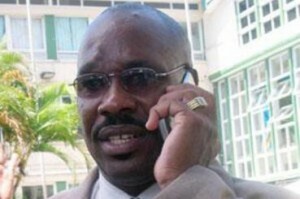 BRIDGETOWN, Barbados -- Just six weeks after former Saint Lucia housing minister Richard Frederick filed a $25 million lawsuit against US officials in Bridgetown, the Barbados embassy became embroiled in another potentially embarrassing incident involving Frederick over the weekend. At 1:01 pm on Friday, a Facebook user posted defamatory remarks about Frederick on the Bridgetown embassy’s Facebook page and, despite comments and questions by other users on the same page being responded to by embassy staff with minutes of posting, the comments about Frederick remained online for over 48 hours before being removed. In the meantime, another Facebook user had posted details of what appeared to be the criminal history of the first user, which was said to include impersonating State Department and federal law enforcement officials. “Although Facebook does allow users to ‘speak freely on matters and people of public interest,’ it prohibits the publishing the personal information of others without their consent,” Kerney said. On February 25, attorneys for Frederick filed a civil lawsuit in US District Court in Washington, DC, claiming compensatory and punitive damages of $25 million in relation to the revocation in 2011 of his diplomatic and non-immigrant US visas. Named as defendants in the action are Andrea Hillyer, a State Department employee at the US Embassy in Bridgetown, Barbados; Susan Chainer, a former legal attaché at the same embassy; Eugene Sweeney, consul general at the embassy; George Deterville, the head of security for the prime minister of Saint Lucia; and two unnamed State Department employees. Frederick is represented by well known Washington lawyer and former US Attorney Joe DiGenova.